Little girl Jo has to stay home because she’s not well. Her mother has promised to bring her a present when she gets home from work and Jo spends the day, when she’s not sleeping, running to the window in the expectation that the noise she hears outside is her mother coming home. It’s not, of course, but we are introduced to the friends who make up Jo’s neighbourly community including the postman and the window cleaner, and lovely next-door neighbour Mrs Ali, who brings Jo some comics to cheer her up. When her mother does get home, her gift is just what Jo wanted – and is perfectly apt on every level of this multi-layered story. For Through My Window is an appealing story narrated with satisfying repetition and suspense that takes readers over to the next page each time Jo wonders if this time it’s her mother coming home –- not to mention the anticipation of what the surprise will be. But it also offers its own window on a culturally diverse world that will be familiar to children growing up in urban Britain. In fact, as Jo looks out of her window, the illustrations are busy with a diverse array of people going about their day. When it was first published 30 years ago (and deservedly short-listed for the 1986 Smarties Book Prize), Through My Window was the first children’s book in both the UK and the US to feature a mixed-race child where race is not itself a factor in the storyline. The book also tacitly challenges other stereotypes that are still just as relevant today: Jo’s mum goes out to work (she’s a nurse) whilst her father stays at home to look after her; and the window cleaner is a woman. The crispness of Eileen Browne’s watercolour illustrations contrasts pleasingly with the soft palette (softer, for example than the brightness of her famous Handa stories) – so that details stand-out without feeling obtrusive. There’s a lovely double-page spread filled with toys as Jo speculates on what her surprise might be – and this will prove something of a nostalgia trip for some parents sharing the book with their children today, but it’s also amazing how many of the toys will still resonate with this new generation, even though there’s not a battery or micro-chip in sight! 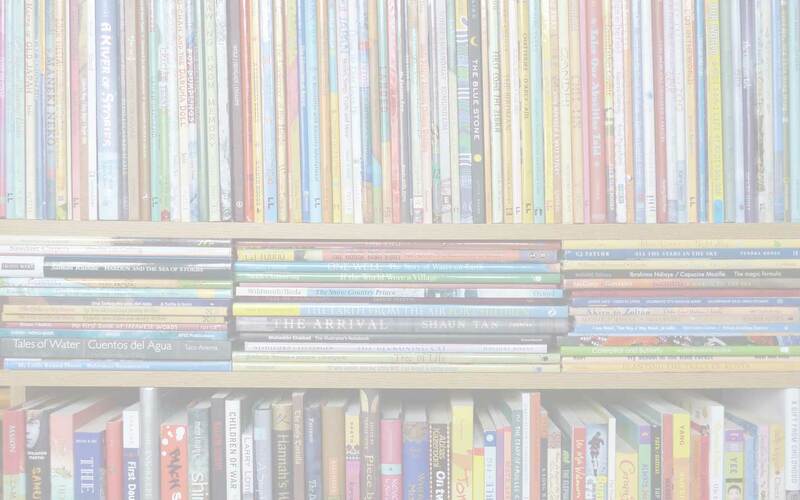 Through My Window has never gone out of print and has certainly stood the test of time; it will certainly continue to be a precious book for many mixed-race families. I hope this new edition, with it’s attractiv peep-hole cover, will also bring it to the attention of a new generation of children and their parents generally. 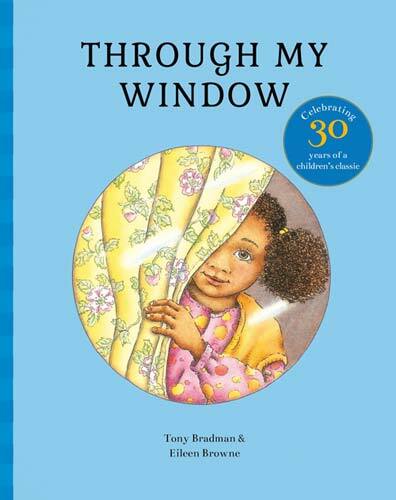 Read MWD’s interview with author Tony Bradman, in celebration of Through the Window‘s 30th Anniversary. Eileen Browne, Frances Lincoln, MWD book reviews, Through My Window, Tony Bradman. Bookmark.